Home » Global » Why did Obama visit Asia? Why did Obama visit Asia? California Nurses protest against TPP. The Pentagon is trying to install its provocative THAAD missile system in both U.S.-occupied south Korea and Japan. THAAD is a so-called anti-missile system. These dangerous war measures are aimed at both the People’s Republic of China and the Democratic People’s Republic of Korea. Yet Wall Street’s war machine is confronting a different Asia than what existed 50 years ago. 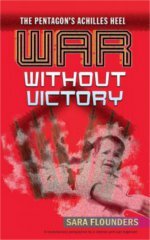 At a cost of millions of lives, Vietnam and Laos defeated the genocidal U.S. invasion of their countries. Working people in Japan and south Korea are fighting to stop the installation of THAAD missiles. On Sept. 8 — the last day of Obama’s trip — the Democratic People’s Republic of Korea marked the 68th anniversary of its founding by conducting a successful test of a nuclear device. Despite U.S. economic sanctions aimed at starving it into submission, People’s Korea will continue to develop technologically to defend itself by any means necessary. Obama traveled first to the G-20 Leaders’ Summit in Hangzhou, China, to sell the Trans Pacific Partnership (TPP). China is now a larger manufacturer than the United States. But China is excluded from the TPP and the TPP is basically an anti-China economic bloc. The corporate media largely ignored this fact and emphasized instead the phony issue of whether the staircase provided for President Obama’s plane deboarding was a deliberate insult. The capitalist world market has made massive inroads into the People’s Republic of China. Foreign and Chinese capitalists exploit millions of Chinese workers. Yet the commanding heights of the Chinese economy — including the banks — are still controlled by the socialist state run by a Communist Party of 90 million members. That’s why the Chinese economy has rapidly grown even since the outbreak of capitalism’s latest economic crisis in 2008. Both Donald Trump and Hillary Clinton claim to oppose the TPP, although Clinton had earlier called it the “gold standard” of trade pacts. Super racist Trump wants to pit U.S. workers against even poorer workers in Asia, Africa and Latin America. “Free trade” treaties like the TPP and the North American Free Trade Agreement are really colonial trade agreements. NAFTA stole hundreds of thousands of factory jobs from U.S. workers and exploits lower-paid Mexican workers in maquiladoras. But the biggest victims of NAFTA were millions of Mexican farming families forced off their land by the cheap corn exports from U.S. agribusiness. Only the solidarity of workers everywhere will be able to fight back against the capitalist monopolies. Neither Trump nor Clinton points out that the TPP will protect the super profits of pharmaceutical giants like Pfizer and Merck. According to D.G. Shah, secretary general of the Indian Pharmaceutical Alliance, the TPP would allow drug patents to be extended by at least five years. Protecting drug company profits at the expense of human life is nothing new for U.S. capitalist politicians. In 1998, President Bill Clinton fired 14 cruise missiles at the Al-Shifa pharmaceutical plant in Sudan, destroying the African country’s only maker of anti-tuberculosis drugs. Vice President Albert Gore told South African President Nelson Mandela that the U.S. wouldn’t tolerate legislation providing lower-cost drugs to fight HIV/AIDS. The liberation hero Mandela — who was captured by the apartheid regime in 1962 with information supplied by the CIA — wouldn’t back down and was sued by U.S. and European drug giants. Anthony Podesta was a top lobbyist for the Pharmaceutical Research and Manufacturers of America, which also sued Mandela. (Guardian, Dec. 18, 1999) His brother and former business partner John Podesta was then President Bill Clinton’s chief of staff and is currently Hillary Clinton’s campaign manager. The capitalist media also went overtime on the sexist remark made by Philippines President Rodrigo Duterte towards President Barack Obama. This was particularly unfortunate, since it allowed racists to ridicule the only Black president in U.S. history. Duterte later apologized. President Duterte’s popularity in his country is based on being the first Philippine leader in a century to refuse to bow down to U.S. imperialism. Duterte has resumed peace talks with the leftist National Democratic Front and has demanded that U.S. Special Forces leave Mindanao province. Duterte has also released from prison liberation fighters Benito Tiamzon and Wilma Tiamzon, the alleged military leaders of the New People’s Army. The NPA has declared a cease-fire. The two released prisoners have joined the peace talks being conducted with the Philippine military in Europe. None of these actions is to the liking of the brass hats in the Pentagon. African Americans and Filipinos share a common heritage of being victims of racist mass murder. After the U.S. declared war on Spain in 1898, the McKinley administration urged Philippine independence leader Emilio Aguinaldo to return to the Philippines, then a Spanish colony. Philippine freedom fighters soon defeated the Spanish colonial army and surrounded Manila. McKinley’s double-cross of Filipinos was like the betrayal of African Americans in 1877, when President Rutherford Hayes ended Reconstruction and returned the South to racist rule. Long live the unity of African-American and Philippine freedom fighters. Black and Filipino lives matter!